First of all I want to say that I am a re-born Christian and God has been working with me for the last thirty-two of my sixty years. I am not where I used to be when I first met Jesus alone in my bedroom. Mine has been a tough life. I am not sure why it had to be that way, (although I have a sneaking suspicion is has to do with paradigm shifts) but it has been tough since the beginning. There are many things I deal with; Complex PTSD and dissociative disorder from some extreme child abuse, schizo-affective disorder, alcoholism (recovered), suicide obsession (recovered), ulcerative colitis, constant severe anxiety (recovered), and a junk food obsession which is what I am working on with God right now. But there is recovery too. In many ways I am no longer the lonely soul I used to be. I am a long way from being recovered from all I went through, and am going through, but I am definitely a far, far, far way from who I was. I am maintaining my anonymity so that I will not have to edit out all the ugly parts of my life anymore. So that I am free to write with as much honesty as I can afford. Give all feloreaw to Him, Our Great and Loving Father. “rhea”… a medical term that means… To gush out. . . . . . . . . . . . . . . . . . . . . . . . . . . . . . . .. . . . . . . . . . . .
We can so relate to each other, I’m so happy you commented on my blog so we can connect. If you have bouts of depression that come and go you might be considered ‘unipolar’ which is the depressive side of ‘bipolar’ without the highs. Bummer. I agree about becoming closer to God because of having this illness. It is both a blessing and a curse for me. A blessing because I hear Him pretty vividly; a curse because I so badly need to hear Him vividly. I will go over and check out your blog. It sounds like something I would very much be interested in. I have been doing some soul searching and hoping one day to feel that closeness with God that others feel. Wishing you all the best in your journey of healing. 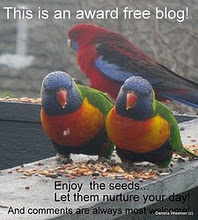 If you click on “Here is my Blog” at the top of the page you will come to two sticky posts. The second one is called “Doing the Hard Thing”. Maybe you’d find it interesting? I don’t know, but it seems to be working for me. I will check it out thank you.